When it comes to protecting your professional space, it is essential to adopt the right hygienic solution to suit your specific needs. To better understand which solution you should invest in, it is important to understand the differences between antimicrobial and antibacterial, along with the levels of protection they provide. 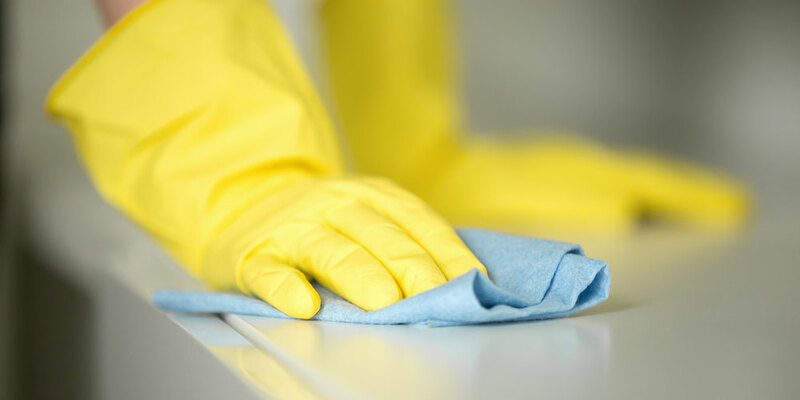 Fortunately, we’re here to tell you exactly how the two differ, and which one you should be using in order to maximise the hygienic qualities of your property. Antibacterial is more commonly known than antimicrobial. Products and solutions that contain antibacterial properties are effective in killing bacteria and inhibiting the growth of common viruses including E.Coli and MRSA. Although effective against a number of harmful bacteria, antibacterial solutions do not protect surfaces from further microorganisms and fungi found in common areas. Antimicrobial differs from antibacterial in the sense that it provides an additional level of protection, working to kill and destroy the growth of microorganisms, fungi, or protozoans as well as bacteria. An antimicrobial solution will work to provide integral protection against microbes as well as expanding the lifespan of your space or product. For more information on how antimicrobial technology works, read our ‘Antimicrobial explained’ document. When it comes to hygienic cladding, whether it’s for walls, doors or flooring, investing in an antimicrobial solution will secure your space. By inhibiting the growth of various bacteria, viruses and fungi, you can rest assured that you are working in a safer environment than if you were to adopt an antibacterial solution. Here at BioClad, we use BioCote silver-ion technology to provide hygienic cladding solutions for businesses across the globe. Our products have been tried and tested to kill microbes by up to 80% in 15 minutes, and by up to 99.9% in just two hours. For more information on the hygienic cladding solutions we provide, visit our products page. When deciding to invest in a hygienic cladding solution for your property, understanding how an antimicrobial solution works better than an antibacterial solution is essential. The safety of people working in common areas is of the utmost importance, and adopting the right form of protection will help to achieve this. Our antimicrobial hygienic cladding solutions have been tested to kill microbes by up to 99.9% in just two hours. For more information on how we can help your business, contact us today!